Melissa Hege, AICP, LEED AP of South Florida-based Melissa Hege City Planning LLC. 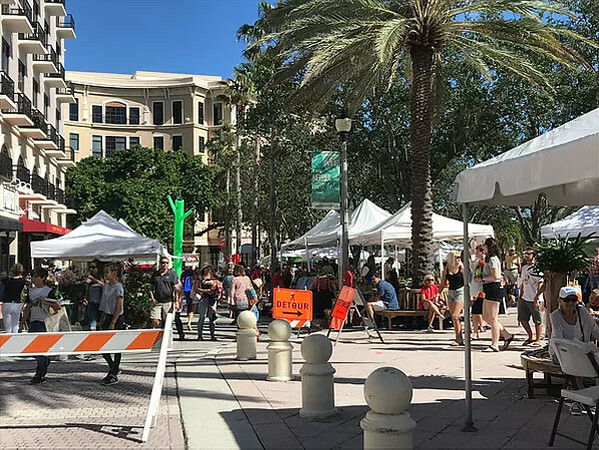 emphasizes how a distinctive and unique waterfront plaza has helped reshape Downtown West Palm Beach. 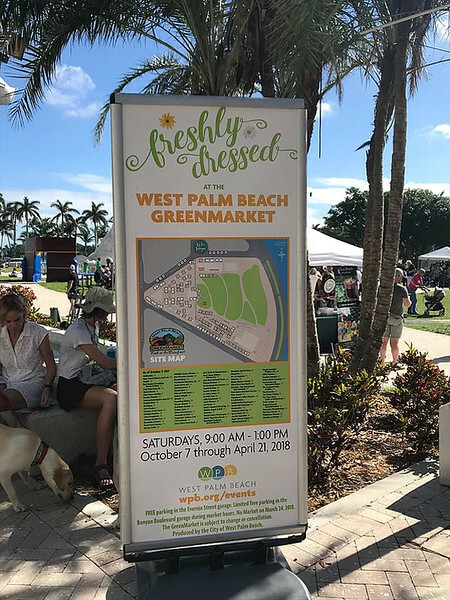 During the season, one of my favorite places to visit is West Palm Beach's Green Market. 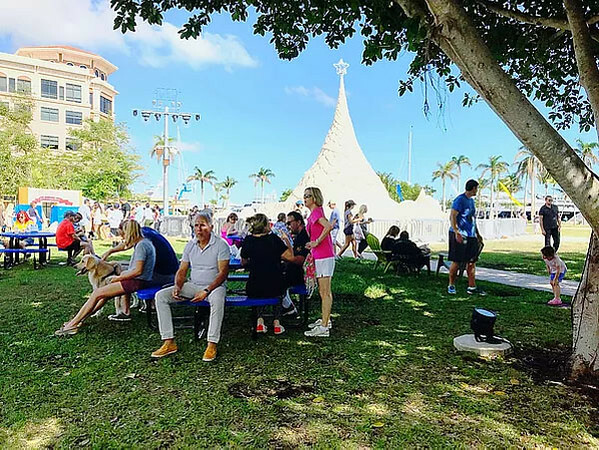 It's not just the vendors with their colorful food and flowers in truly beautiful and grand plaza overlooking the water, it's the transformation that I patiently watched since 2005 when I first became acquainted with the city. 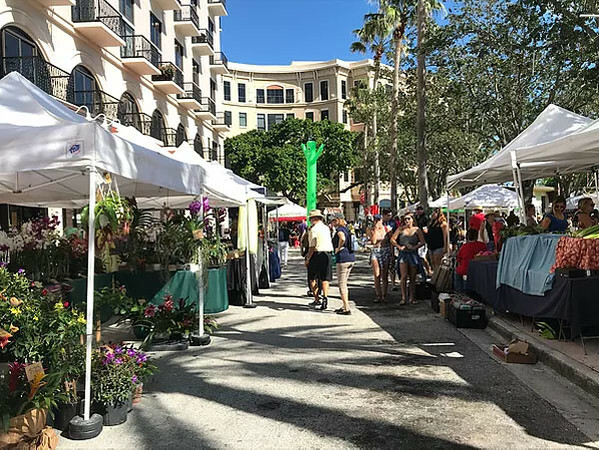 It took vision, courage and perseverance when then West Palm Beach Mayor and the City Commissioners began planting the seeds for today's downtown. But the genius of the vision was how easily it's been able to incorporate new trends in urban design. 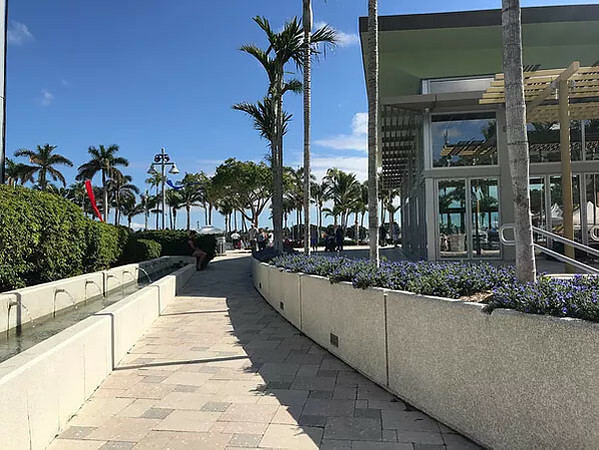 It started with a vision to open up the downtown to the intracoastal waterfront with views to Palm Beach-- a magnificent waterfront promenade, public docks and a grand plaza overlooking the water, but was not without controversy. As a fairly young planner, my old firm and I were hired to update the downtown's master plan and zoning code, but were given strict instructions to accept the major public improvements that had already been approved by the community, mainly a new concept for the plaza, waterfront promenade and government campus. The plan called for moving public buildings to the center of downtown and demolishing an important library to make space for the plaza pictured above. It was taking up prime real estate at the formal entrance to the downtown and effectively walled off the city center to the water. The plaza was built at the end of downtown's classic shopping district to connect it to the water's edge. And the leadership have the foresight to add a transparent, glass enclosed event space to host private events. It's a practical way to extend the plaza's use and really adds a lot of value to the community. This plaza is versatile and here's how. 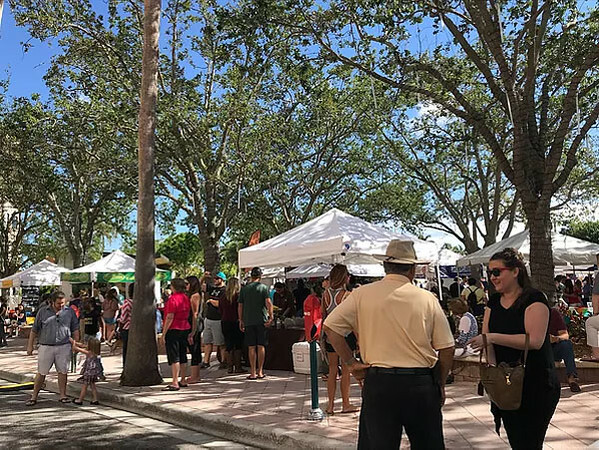 Mixing Hard Surfaces with Grass: The plaza is multi-purpose and pulls double duty with a hard surface for vendors and special events and a lush grassy surface to break up the hardscape and add some green and more casual space. 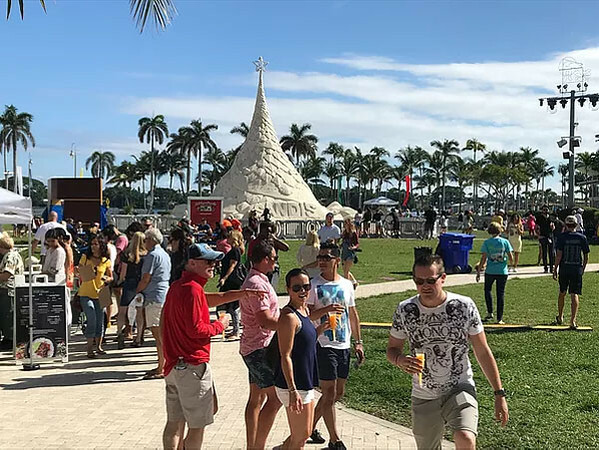 It's also a great place to set up the annual sand castle Christmas tree. Plaza Trees: The plaza is loaded with them and the effect is quite lovely. There's plenty of shade and the trees actually help to cool the air. The market booths fit snuggly in between and create a cozy and comfortable space. Seating: It doesn't have to be fancy, but if you're selling food and you want people to stay and hang out you've got to give them a comfortable place to sit. A bench under a shade tree- genius. Picnic tables, even better. The Green Market: This sign brings legitimacy to the entire event. It's an official registry of all the vendors and a key map of vendor locations. I included it because it makes a temporary event feel more permanent which is reassuring to the customer who can always return to their favorite vendor the following weekend.